Don's Dimensional Shift: Nook Press goes free! Nook Press has finally given authors a real price choice! While it has always been possible to have a ebook set as free on the Nook platform, you had to go through a distributer. If you used the Nook Press platform to add the book yourself, the lowest price you could set was $0.99. Now that has changed. I received a email today saying that Nook Press has added the ability for authors to set their books as free. I have tested it and it does work. Although, it may take a day or two for the change to be seen in the Nook store. It certainly took them a long time to bring out this service. While using a distributer worked, it took longer. Sometimes weeks for the changes to propagate though to the Nook store. Any change I made in Nook Press platform appeared in the store a few hours after I made it. 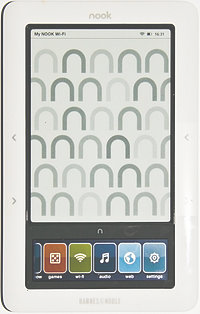 I have always liked the Nook platform, the hardware B&N made especially. I don't like how B&N has managed it, they have made mistake after mistake. This is the first positive change they have made in a long time. Gives me a little hope for the platform. In honor of the change and hope of the platform, my book Italian Fever is now FREE for a limited time (well once the Nook store updates in a few hours). Glad you liked it :) And I intend to.